Ugly shoes are nothing new. Hell, they’re practically a sartorial prerequisite these days (grandpa sneakers and Crocs, anyone?). But designers are trying hard to bring two hippie-affiliated footwear brands into the fashion fold. 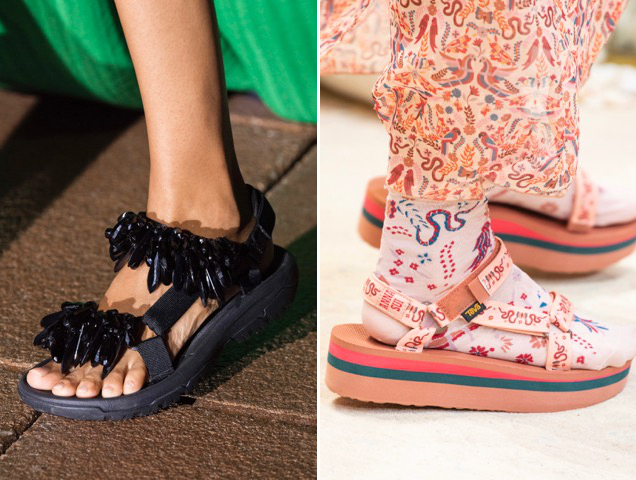 Valentino just collaborated with Birkenstock to create what’s sure to be the sandal of the summer. 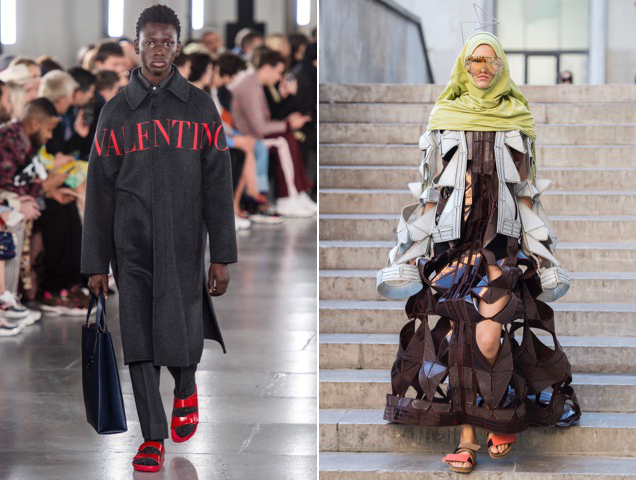 Even though the logo-printed and red hot takes on the brand’s iconic Arizona silhouette were shown during the Valentino Men’s Fall 2019 show, both men and women can rock the soon-to-be trendy slides. Rick Owens also unveiled his second collection with Birkenstock during his Spring 2019 ready-to-wear show. Despite the eye-catching headwear and intricate dresses, the two-tone sandals still managed to stand out. And Owens even designed some corresponding UGG-like boots for the occasion. 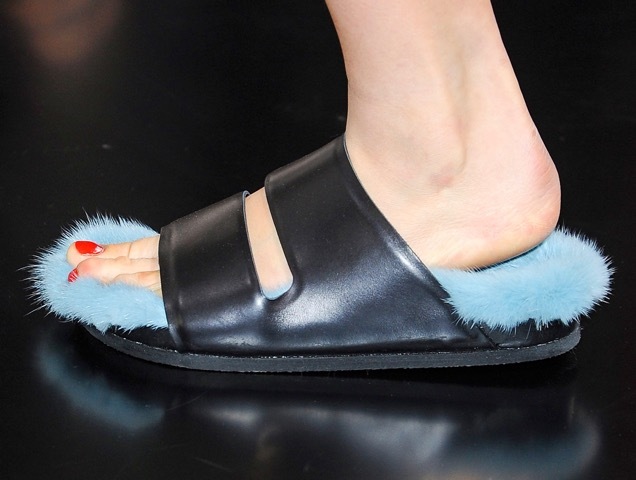 But it’s not just Birkenstocks. 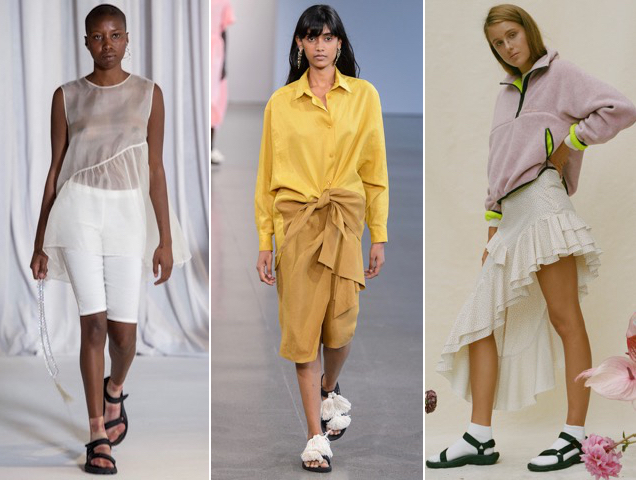 Tevas were spotted on models’ feet at several Spring 2019 shows (see first image). Sandy Liang and Collina Strada both opted for the brand’s trademark black Hurricane XLT2 sandals paired with white and tie-dye socks, respectively. Tome spiced up the Original Universal sandals by adding tassels. Area embellished the ever-popular Hurricanes with crystals and Anna Sui put her own funky spin on Teva’s platform styles with a yet-to-be-released collection. Pity, since they would surely be the official footwear of Coachella. 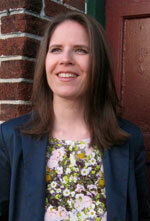 Ready to unleash your inner hippie? Shop the most stylish of these so-called basic sandals (plus a few look-alikes) below.